These lemon cake mix brownies are sweet, tart, and delicious and can be whipped up in less than an hour (and they make perfect teacher gifts)! This week, I decided to tweak one of my all time favorite recipes that actually went viral on Pinterest, these strawberry brownies, and see if a lemon version would be equally yummy. The results were wonderful; the brownies were amazing! I gave samples to some teenagers who were at the house studying for exams, and they all loved them. The brownies get a lot of lemony zing from using the fresh lemon juice in the glaze. I used Duncan Hines lemon supreme cake mix, but any lemon cake mix should work as long as it has NO pudding in the mix!!!!! How do you make brownies from cake mix? The above formula can be tweaked. You can use different flavors of cake mix and vary the flavors of extract. I’ve also included the kitchen tools and gadgets that I use for these brownies and other baked goods. These are my favorites for measuring, timing, baking, glazing, etc…. So for a quick dessert to take to someone or serve on a dessert table, strawberry or lemon brownies are both savvy options! Whichever flavor you choose, don’t skip the glaze; it takes them over the top. Watch in the video below how quick and easy it is to glaze these. I’d love to hear from any of you who try these brownies. 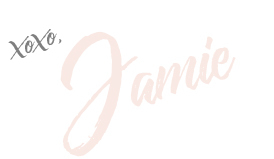 Thanks so very much for visiting my site. As always, be blessed, and stay savvy! These brownies are sweet, lemony, and delicious and can be whipped up in no time! Line 8" square baking pan with parchment paper and spray with Pam. Mix cake mix, eggs, oil and extract with a hand mixer until well combined. Bake for 15 minutes or until brownies just begin to set, being careful not to overcook. When done allow brownies to cool before lifting from pan with parchment paper. Mix lemon juice and powdered sugar until smooth. Spread lemon glaze on top of brownies. What a wonderful use for cake mix! I used gluten-free white cake mix and added about a tablespoon of Simply Organic lemon flavor. I set the timer for 10 minutes, checked to see if the “brownies” were done (they were not) and then kept checking every 2 minutes until abut 18-20 minutes had elapsed – and they were done! 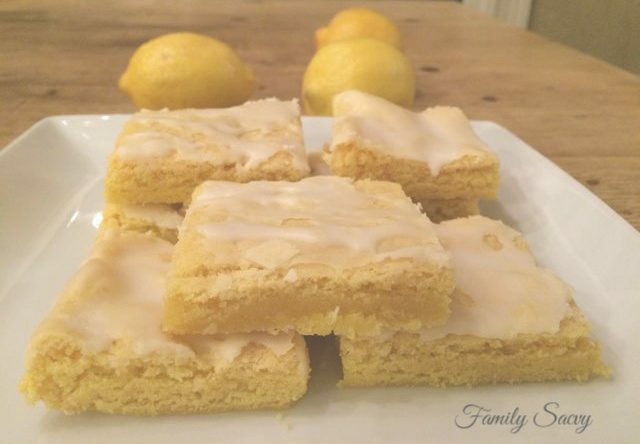 My husband and I thought that the lemon brownies were delicious and sweet without the glaze (I had no confectioner’s sugar in the house)! Next time, I want to try to make these without eggs (maybe using Egg Replacer) to create an option for vegans! Hey! No they donâ€™t have to be refrigerated! And they stay fresh for about 4 days!! Do these need to be refrigerated? How long do these stay fresh? Hi Dana! Certainly! Parchment paper is FAB and helps lift the brownies out of the pan whole for clean and easy cutting. But if you don’t have it, just let the brownies cool and see if they will pop out if the pan turned upside down. If not, just cut the brownies in squares as best as you can. Let me know if it turns out! I don’t have parchment paper today. Is it okay to do without? Hi there! Just mix and drizzle~no heating necessary! Thanks for asking, as I am sure many others had the same question!! Hi. What do you mean by mix the lemon juice and powdered sugar? Like mix and heat or just mix and drizzle. First time baker here. I love anything lemon, too! These are really easy any time a lemon craving hits! Hope you enjoy!!! I love any type of lemon dessert! This is a great twist for lemon cake. I can’t wait to make these! Yummy!